Straight off the bat, we'll start by saying the APEX is still a concept device. That means no part of it is really certain. Sadly, not even its awesome name. We have no info on internals, performance or software. So don't expect any of that in the hands-on. What we did get at the Barcelona venue, is an amazing tech demo. In fact, a few of them, all neatly wrapped up in the APEX shell. First up is the almost surreal 5.99-inch, 18:9, FullHD+ display. But none of those attributes are nearly as important as the flexible OLED platform vivo is demoing. The company managed to mount microchips directly on the flexible circuit board, which enabled the nearly bezel-free look. 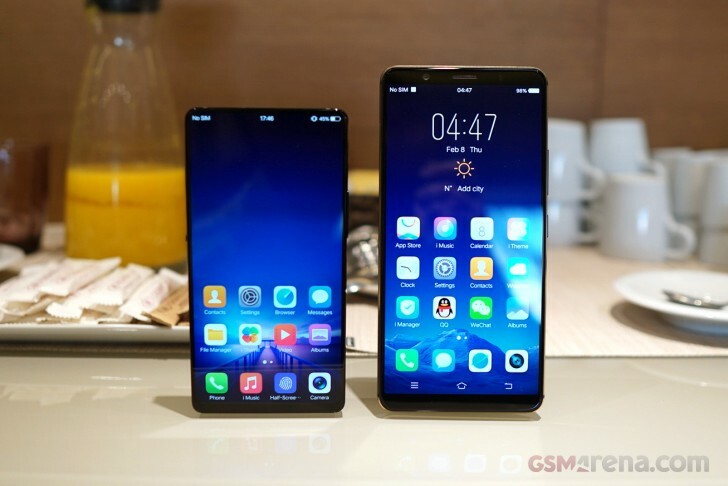 In the case of the APEX demo device, in particular, the top and side bezels around the display measure only 1.8mm, while the bottom one is just 4.3mm. Naturally, this does have certain negative ergonomic implications for one-handed use. But that's nothing that can't be overcome through proper software and UX optimization. 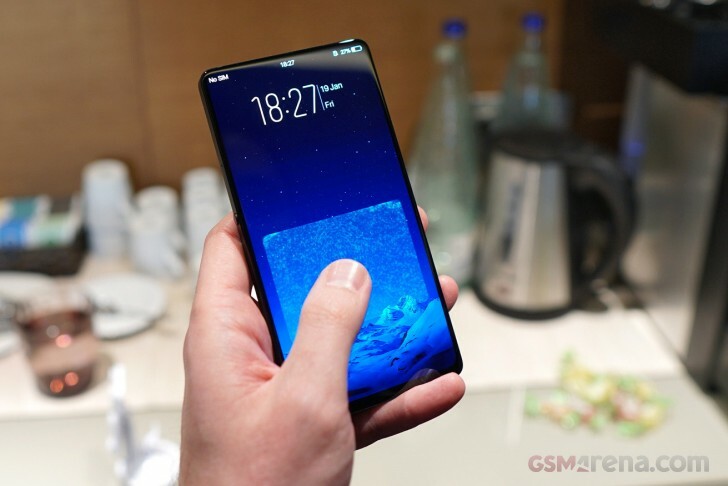 Another potentially game-changing feature vivo is showcasing in the APEX is a world-first half-screen, in-display fingerprint scanning technology. It is a logical next step, building on the in-display, single spot technology in the vivo X20 Plus UD smartphone. The technology is similar and optical in nature, the main difference being, you can put your finger anywhere in the bottom half of the display to read the print. Technological similarities in mind, it comes as no surprise that the APEX uses an OLED panel and blasts its backlight intensely during scans to allow for the reader itself to see your reflected fingerprint pattern. Just like on the X20 Plus UD, the process feels really sci-fi, but still has some limitations and kicks to work out. For one, you do have to press on the screen relatively hard, probably to spread out the skin, separate the lines and get them as close to the reader as possible. Speed and accuracy are also not great in the current state of the tech. It's clearly not ready for prime time in an actual end-user product, but it's getting there. Plus, vivo is clearly hard at work and already experimenting with potential advanced usage scenarios. The APEX features a demo for a two finger scanning mode. This could make sense for increased security access to certain data. Perhaps even adding a second person into the mix, in a supervisor or two-tier type scenario. Potential uses aside, we tried the two-finger mode as well and, understandably, there are certain limitations. For one, both fingers need to be scanned together, not sequentially. This could save some time and reduce failed attempts, but its a bit of a drag. Also, the two fingers in a scan pair need to be unique. Currently, you can't have your left thumb in one scan and then both your thumbs in another one - a fairly obvious way to go about things, in our opinion. So, there's that to work on as well. Also, under good lighting and the right angle, you can spot the edges of the reader underneath the display of the APEX. vivo might want to try and hide it a bit better. Bottom line here, being - the tech is incredibly cool, surprisingly functional, but still needs some work. So, we just have to exercise patience. There are a couple of other interesting aspects about the APEX as well. 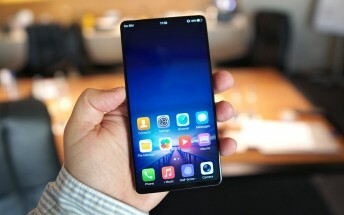 Since vivo's new nearly edge-to-edge display leaves almost no room for anything else on the front, innovative solutions were in order to turn the APEX into a functional phone. For one, you need an earpiece. To that end, vivo has a new Screen SoundCasting Technology. It vibrates the entire screen to produce sound like a speaker. 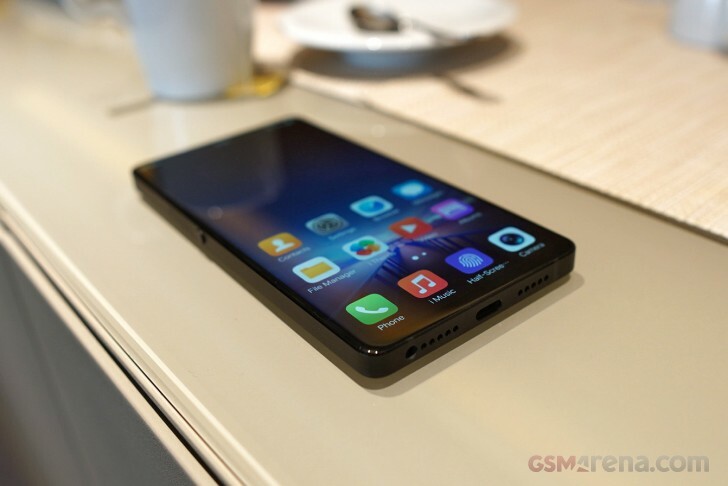 It is quite reminiscent of the original Xiaomi Mi Mix, only louder, since vivo is leveraging it as both a speaker and an earpiece. This meant we could hold the demo unit in any orientation we desired and still have a conversation. That includes holding the back side up to our ear. To our surprise, the APEX still managed to figure out what we are doing and turn off its display, regardless of whether we were covering the under-display proximity sensor or not. The only downside to this mode of operation is that you can't really expect to have private conversations. The Xiaomi Mi Mix has similar issues as well. Last, but not least on the interesting innovations list is vivo's solution to the selfie camera problem. Namely, that you can't realistically fit one on the front of the device. The answer here is a motorised, periscope-style module on the top bezel of the phone. 8MP, in the demo unit. Whenever you switch to the selfie camera, it extends up in just 0.8 seconds, then closes neatly back up. It was loads of fun to play around with, even with the included, extremely bare-bones camera app. Which brings us back to the concept phone point. The APEX demo unit we saw looked and felt really premium, with a boxy silhouette, complete with black aluminum bezels and a glass back (total fingerprint magnet, by the way), a type-C port and a mysterious dual camera setup on the back. But it really was miles away from a final product. 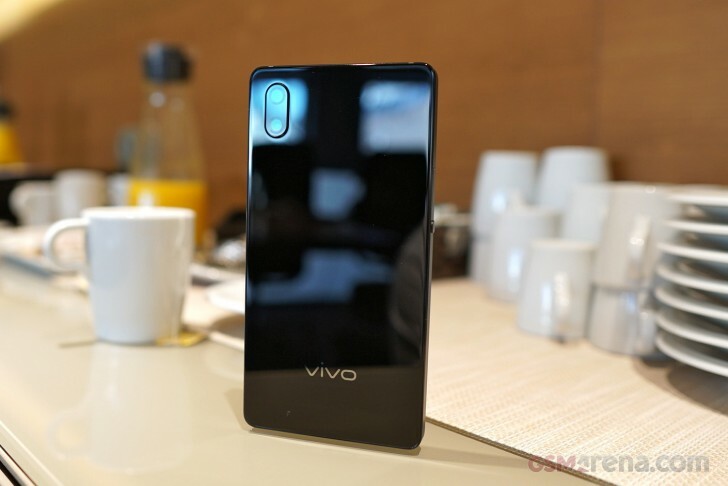 Hopefully once vivo irons out any issues and limitations, we can see all, or at least some of the amazing tech make it to a similar end-user device. For the time being, however, the APEX is a premium tech demo rig that comes with no promises or information on pricing and availability.